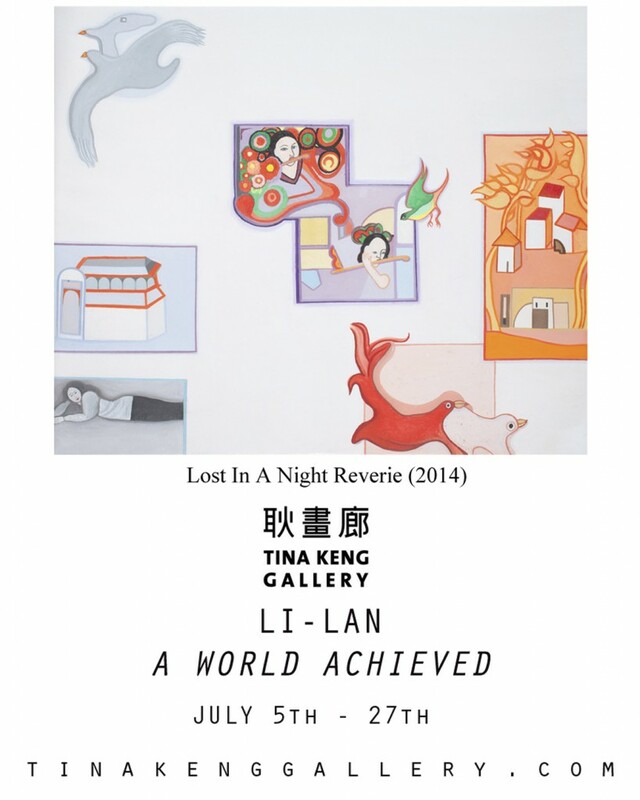 Tina Keng Gallery is pleased to present New York-based artist Li-lan and her solo exhibition, A World Achieved, on view from July 5 to July 27 (opening reception: 4:30 p.m., Saturday, July 5). The exhibition features a total of 23 pieces, ranging from the 1970s to 2014, and invites the viewer to dive into the dichotomies of life in each carefully composed frame. Empty sheets of notebooks turned into a space for Li-lan’s thoughts and imagination to roam freely. Works such as My Sketchbook, One Sheet of Graph Paper, or The First Page: Green Tabs invite viewers to convey their own fantasies and dreams. The great white space in many of Li-lan’s pieces signifies a yearning for independence, her need for a space she could call her own, where she could stretch out and expand. The blankness left in each frame voices her craving for distance from the world, which once filled her with a fear of isolation yet granted art as her ultimate shelter, where she turned that fear into a creative vision of aesthetics. The hands that once applied minimal and delicate brushstrokes witness changes in Li-lan’s mind and soul, and materialize those changes in vibrant and mesmerizing palette of colors. 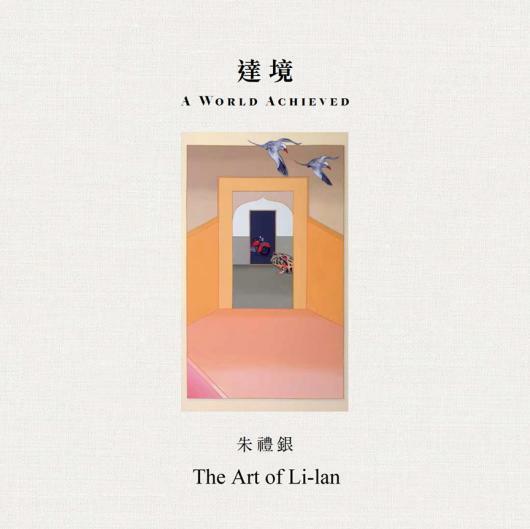 From her early works of envelopes with postage stamps throughout the 70s, 80s and 90s, to her images of traditional Asian women and European architecture in the 2000s, each work illustrates Li-lan’s experiences of cultural journeys in China, Japan, and Europe. The collage-inspired compositions speak of Li-lan’s transformations within, as each country she traveled opened her eyes to a new side of herself. Li-lan has exhibited internationally at Tina Keng Gallery (Taipei, Taiwan; and Beijing, China); Nantenshi Gallery and Miyuki Gallery (Tokyo, Japan); Art In Embassies (Brussels, Belgium) and Basel International Art Fair (Basel, Switzerland); and extensively in the USA, including shows at Jason McCoy Gallery; Robert Miller; OK Harris (New York, NY); and Asher/Faure Gallery (Los Angeles, CA); Her work is in major public and private collections all over the world, including the Weatherspoon Art Museum in Greensboro, NC; the William Benton Museum of Art in Storrs, CT; the Baltimore Museum of Art in Baltimore, MD; The American Embassy, Beijing, China; the Ohara Museum of Art in Kurashiki, Japan; and the Sezon Museum of Modern Art in Karuizawa, Japan. Li-lan lives and works in New York City and East Hampton, NY.